Easy video on how to give yourself a Karin Herzog Royal Facial. The facial stated Kate Middleton received before her wedding. You may purchase the products in a kit or individually. You save when you purchase on my website. 1. 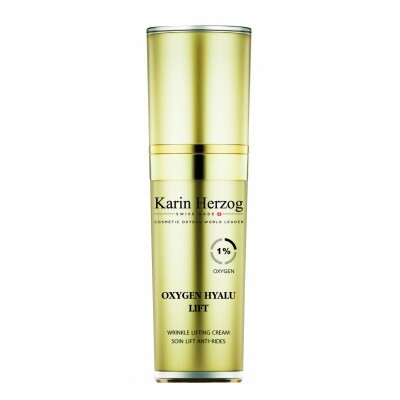 Karin Herzog Oxygen Hyalu Lift: The perfect ally for fighting aging skin. With intense moisture and oxygen, the Hyalu Lift serum soothes ultra-dehydrated skin, bringing texture and natural glow back to life. We love this! This wonderful serum contains 1% Oxygen and Hyaluronic Acid. Such a wonderful treatment. 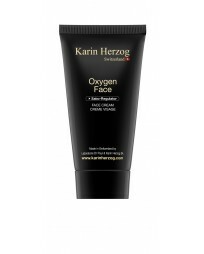 You may use it alone or in conjunction with the other Karin Herzog products. This is the perfect time of year to start. Karin Herzog’s Mild Scrub is so gentle, anyone can use it. It is made of perfectly round pulverized marble. It rolls over the skin and does not scratch the skin as many other scrubs do. Perfect for anti-aging, acneic skin, removing the dead skin cells. I always suggest to my clients to use it after the Oxygen Face Cream. Oxygen Face Cream helps to soften up the sebum in the skin and the Mild Scrub helps to remove it. I also like to use it before the Essential Mask. Exfoliate, the apply the Essential Mask as your moisturizer for the day. It gives you a glow. The Karin Herzog Hyalu Lift/ Essential Mask Combo is the latest anti-aging treatment from Karin Herzog. It was just featured in New Beauty. This is a facial you may do at home. As an Esthetician, I have see this treatment done at my place by Noel Herzog. We did half of a clients face and the difference was very noticeable. The side that had the treatment was lifted, hydrated and more youthful. Hyalu Lift is a 1% oxygen, Hyaluronic acid cream. It goes on easily and feels light on the skin. The Hyaluronic Acid plumps the skin and helps fill in those lines and softens them. Together it is magic. It only takes 10 minutes to see results. Essential Mask from Karin Herzog is one of my favorite products. You may use it as a moisturizer or mask. It literally gives you a blast of oxygen to the skin. It is so hydrating. I love to wear it in the day also as a moisturizer. I do that on days I need a pick me up. I have been with Karin Herzog almost 20 years. Oxygen Face Cream has been a top selling product since then. It is such a great product for all ages. The main focus on Oxygen Face Cream is that it is very helpful in softening up the sebum before extractions. It makes it so much easier to clean out the pores once the Oxygen Face Cream has done its work. Plus it kills the bacteria that causes breakout. We suggest you purchase this products for teens and young people. It is also excellent for pregnant women since it does not contain Vitamin A. The price point is excellent and a tube should last several months or longer. Even adults may use it. It is helpful in keeping the pores clean. It contains 2% oxygen so it is very hydrating for the skin. Kate Middleton makes this one of the products she uses in her skin regime. She is the perfect person that you can tell lives a healthy lifestyle. She is a wonderful role model for everyone. Oxygen Face Cream helps keep her skin beautiful.